Fine rugs are our passion. Every rug is unique and precious to its owners, and it is the same with us. Many rugs are passed down from generation to generation, so we take our responsibility seriously as an Oriental rug cleaning company in Hobe Sound, FL! At Palm Beach Oriental Rug Cleaning Pros, we understand the importance of fine rugs, and you can trust us with your oriental rug cleaning and repair needs. We can make sure that your fine Oriental rug looks as beautiful as it did when your grandmother first gave it to you! Whether your rug is contemporary, antique, semi-antique, Southwestern, or Oriental; whether your rug is made of wool, cotton, silk, or otherwise, our oriental rug cleaning experts are top-notch when it comes to cleaning, repairing, and restoring your beautiful work of art. We appreciate the beauty and fine quality of rugs, just like you do. There is great value in both Oriental and contemporary rugs, and we are intimately familiar with the styles and craftsmanship involved with each particular period and region. In order to protect the value and condition of your fine rugs, our cleaning takes place in a controlled environment in order to ensure that your rugs get the care and consideration that they deserve. At Palm Beach Oriental Rug Cleaning Pros, our comprehensive cleaning process will ensure that your Oriental rugs stay in top shape for generations to come. Our process starts with our Oriental rug cleaning Hobe Sound specialists check your piece for fading, discoloration, stains, wear and tear, and pre-existing damage. 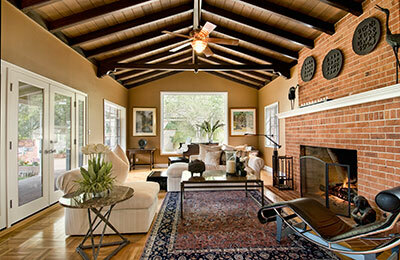 We then determine to what extent and how each rug can be cleaned in order to maximize its appearance and condition. Then we select which gentle cleaning process would best fit the job. 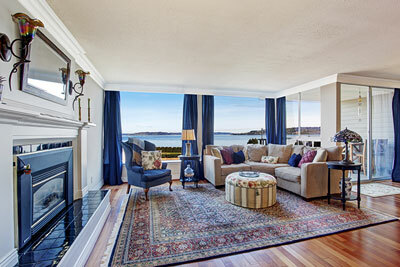 Understanding the make and build of Oriental rugs is vital to choosing an appropriate cleaning method. In order to prove that we have the expertise to get the job done, we will send one of our Oriental rug experts to your home at no cost so that he can explain in greater detail the different treatments that can be used to clean your rug. Not only is maintaining, restoring, and repairing fine Oriental rugs what we do at Palm Beach Oriental Rug Cleaning Pros, but it’s what we love to do. You can rest easy knowing that your special rug is in good hands with our qualified staff. No matter how much love and care you put into your rug at home, the condition will naturally deteriorate over the years, and that’s when you call the rug repair experts in to help. Every rug is unique and requires a different cleaning process to restore its original condition. Our process starts with a pre-inspection so that we can ascertain the attention that your rug needs. Our Oriental rug cleaning experts examine every single rug so that we can pay attention to the smallest signs of fading, stains, discoloration, odors, wear, pre-existing damage, and color instability. Once the pre-inspection is finished, we can then use the appropriate cleaning method to ensure that your rug is returned to you in the best possible condition.